The Age Scotland Blog is here to highlight age in all its glory; its wisdom, opportunities and the stories it brings. We’ll also talk about what we’ve been doing to help older people and hopefully get you involved too. Older people in Scotland and around the world. 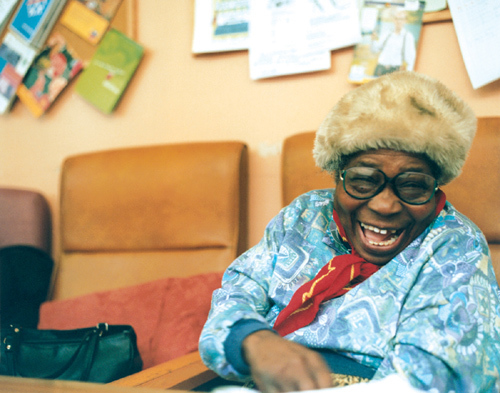 We want to show all the amazing things happening to older people around Scotland and the globe. There are many fantastic stories and opportunities about people in later life that need to be shared. This is a corner of the internet that celebrates age. We will campaign for older people to improve their lives for the better and want you to get involved too! We will discuss issues affecting older people and how we can work to combat and eliminate these problems. We encourage discussion and want to hear your thoughts. The charity does a lot of work around Scotland, and with partner organisations reaches all over the world. We want to show you some of the work we’re undertaking, talk about what we’ve been getting up to and hear your ideas and thoughts. Of course, if you have any feedback or ideas surrounding this blog we’d love to hear from you. Leave us a comment below or email us at info@agescotland.org.uk. Quite often the blog will include guest posts from organisations and individuals. While Age Scotland will as far as possible ensure that information in these is correct, we cannot be held liable for any errors or omissions. The views and opinions included in guest posts do not necessarily reflect Age Scotland’s views or policies. As I write for the Greying Generation on Health and staying Independent, you may want to tap into my writing skills, and utilize them for your audience. Email me if you need one or more blog posts. Thanks for the offer. Can you please email some links to examples of your work to communication@agescotland.org.uk.